Are you becoming a fan of the 51 and looking for basic info? 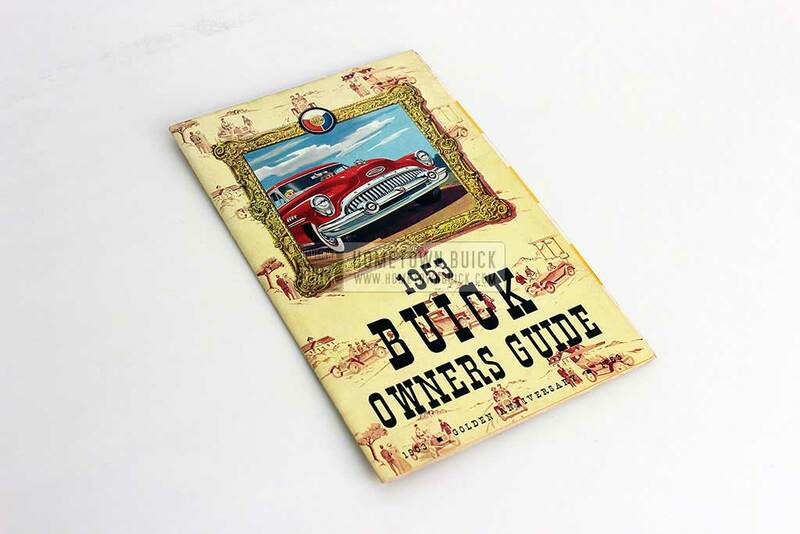 Get a copy of the 1951 Buick Sales Brochure - it is cheap and a good introduction! 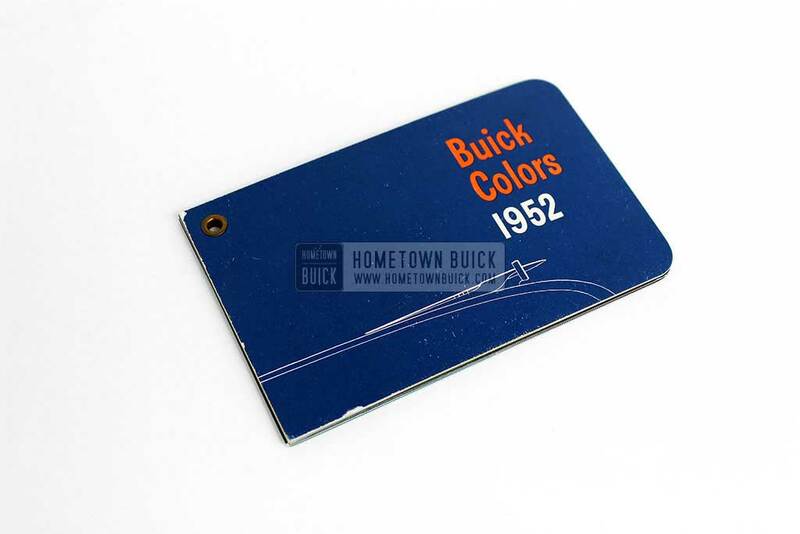 All exterior paint colors for the 56 Buick are compiled into this 1956 Buick Colors Flyer - with name, sample and different paint themes! Buyers of a new 57 Buick received a copy of the 1957 Buick Owners Manual. It covers basic specifications, first tips for operation and maintenance. 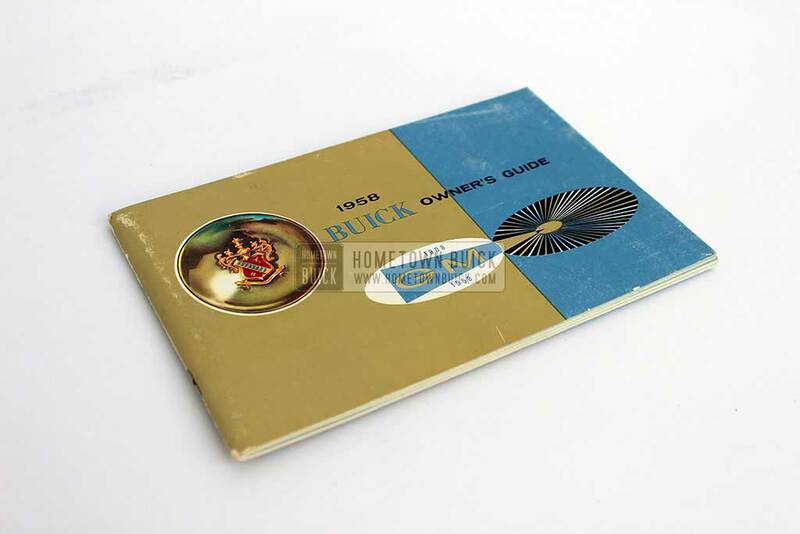 The 1956 Buick Owners Manual was given to new car buyers, it contains opertings tips for radio, seats plus more and maintenance advice. 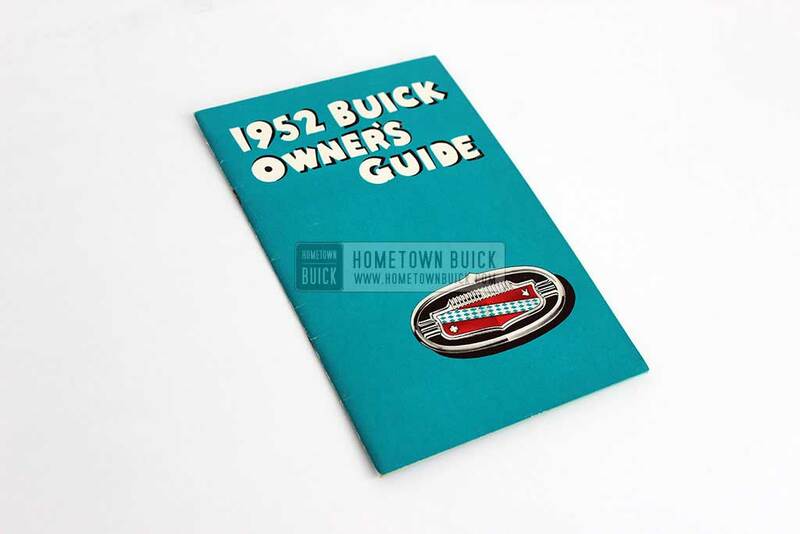 If you were a buyer of a new 52 Buick, you would have received a copy of the 1952 Buick Owners Manual. It provides basic operating and maintenance tips. 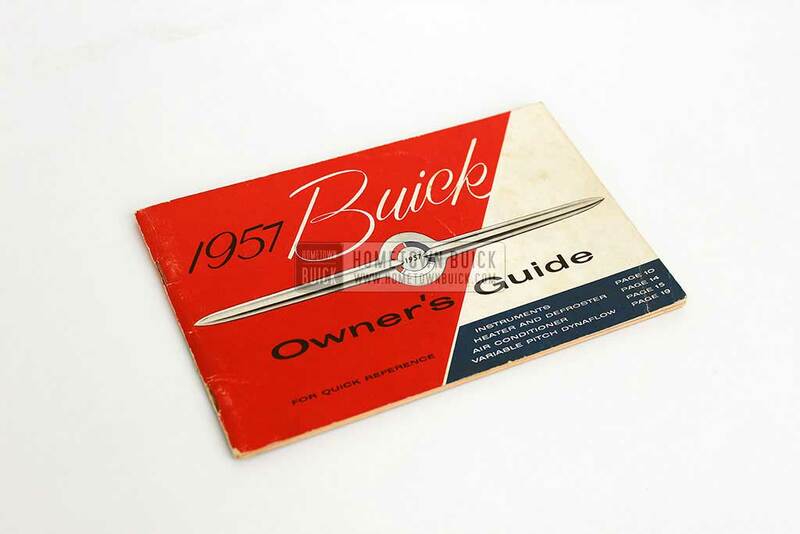 The 1951 Buick Owners Manual was given to new car owners to teach them the basic operation of their new 51 Buick - fuel type, maintenance and much more! 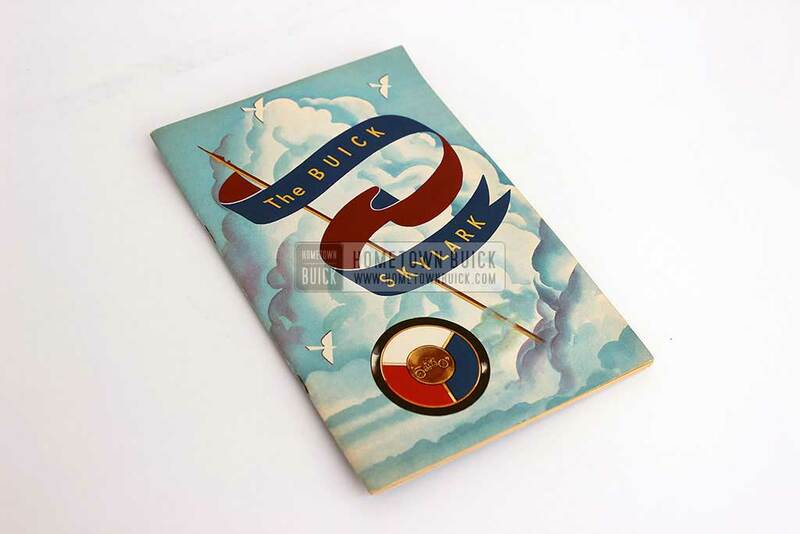 Buyers of the most expensive and limited model for 1953, the 53 Buick Skylark received this very special 1953 Buick Skylark Owners Manual. The 53 Buick Skylark was the 50th anniversary model. 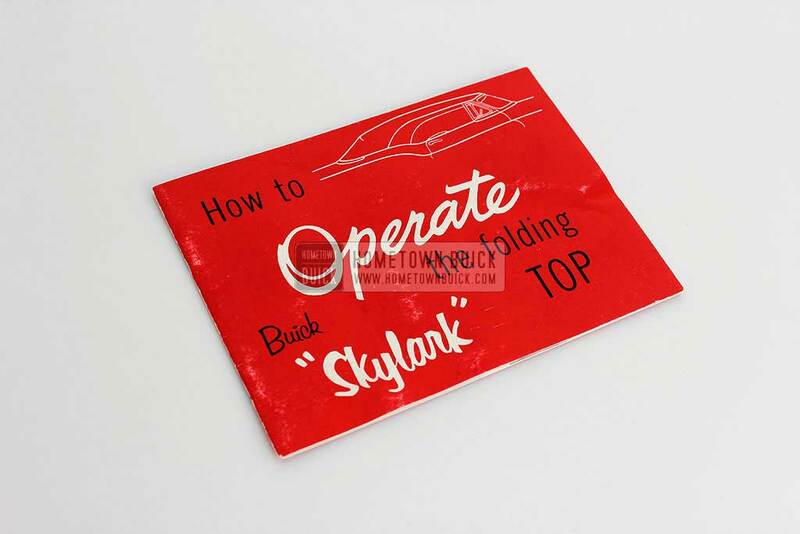 Read the 1953 Buick Skylark Convertible Top Operating Guide to get operting tips for the folding top! 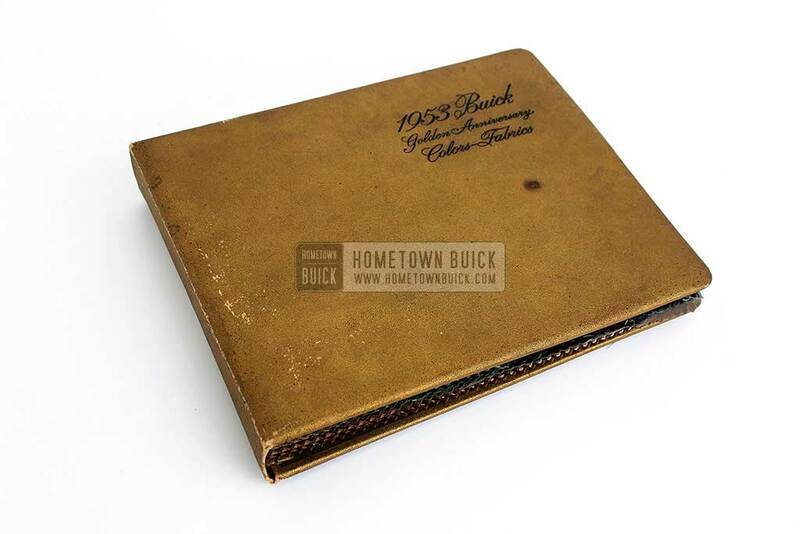 The 1952 Buick Showroom Album is one of the most beautiful items for 52 Buick owners. 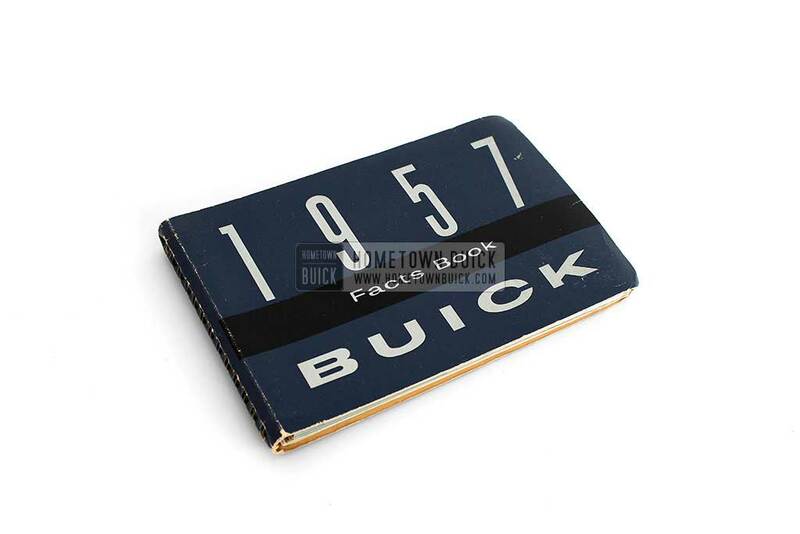 Its very rare, so that Hometown Buick has decided to provide reprints. 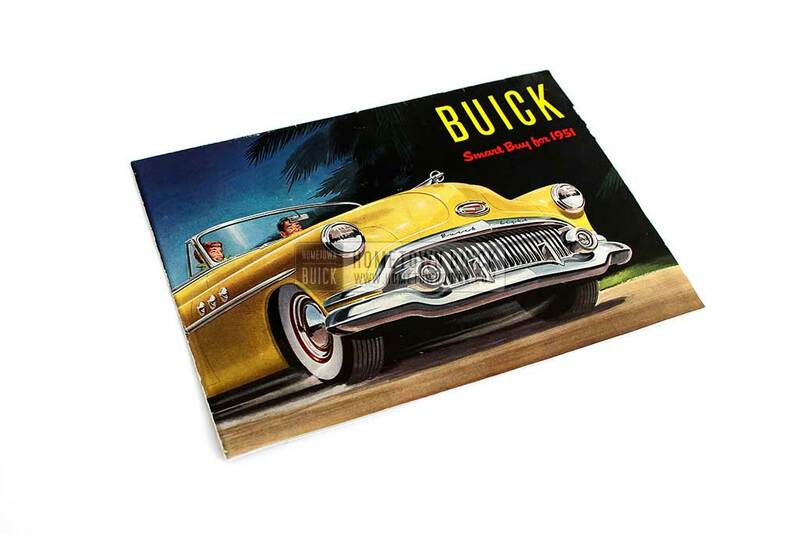 The 1951 Buick Showroom Album is rare and beautiful - it shows (almost) every 51 Buick model with a rendering. It also contains features & interiors! 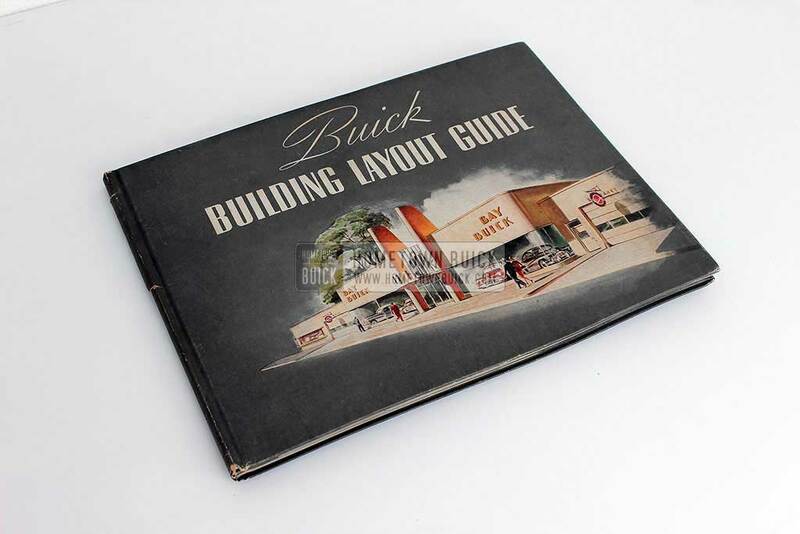 The 1956 Buick Dealership Building Layout Guide is a rare literature piece combining the car industry with architecture. Great dealerships renderings! 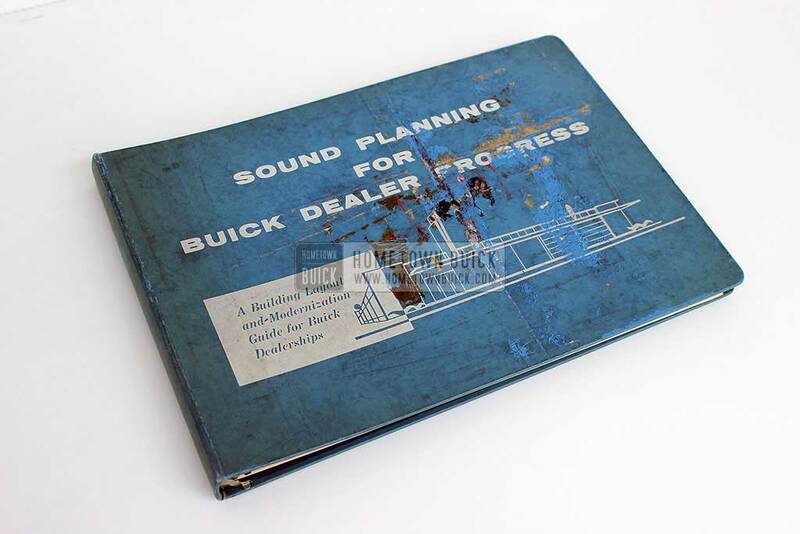 The 1944 Buick Dealership Building Layout Guide is an iconic piece of Car Dealership Architecture. It displays many proposals for the outside and inside design of Buick dealerships. This book is very hard to find! 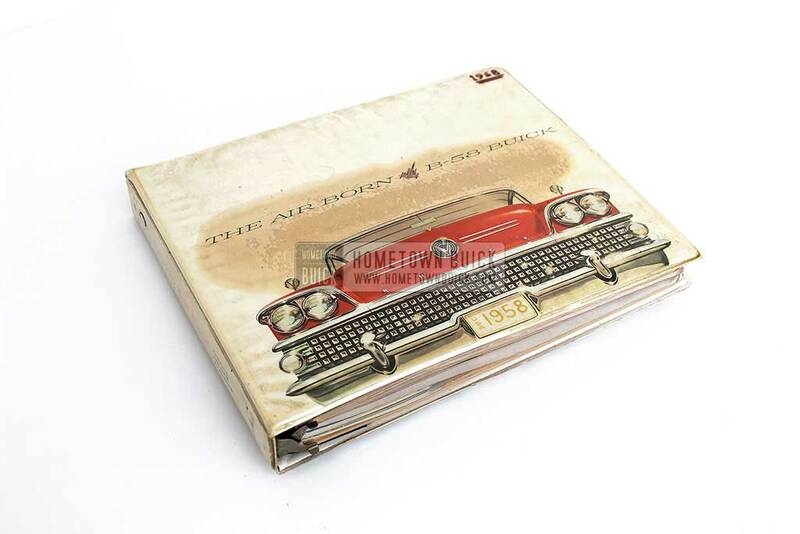 The 1959 Buick Dealer Facts Book is THE book to buy if you're a fan of the 59 Buick. It covers many specifications and is loaded with info & images! The 1958 Buick Dealer Facts Book is different to the ones of other ones from earlier years. It's not a single publication, but a part of the showroom album. 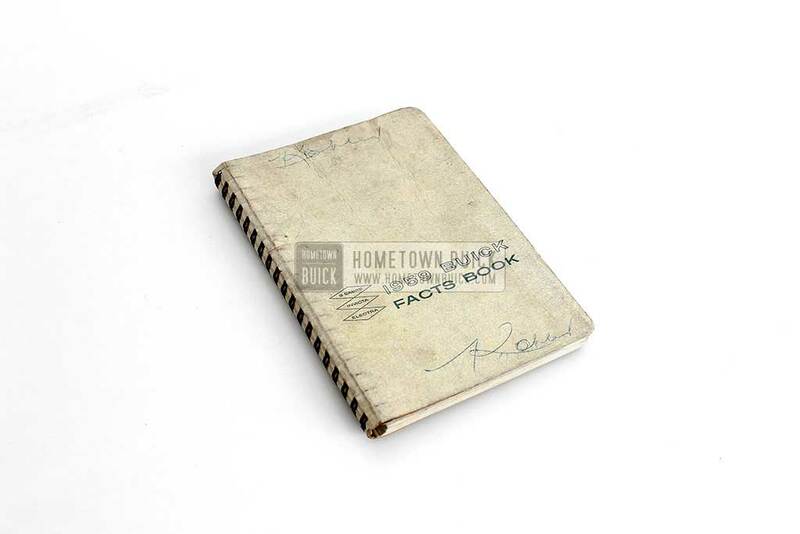 One of the best data sources for the 57 Buick is the 1957 Buick Dealer Facts Book. It was given to salesmen to teach them major selling points. Very neat! 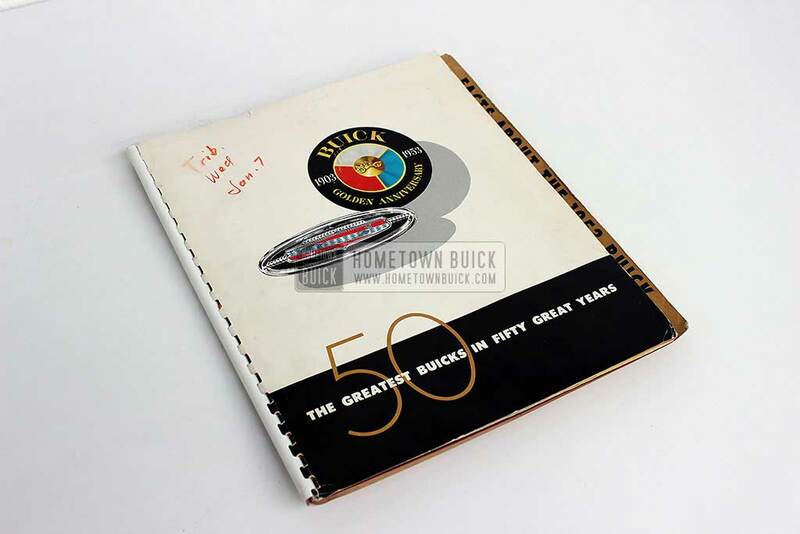 The 1956 Buick Dealer Facts Book is the data source #1 for every 56 Buick owner and enthusiast! It was made for salesmen and is loaded with info & pics! 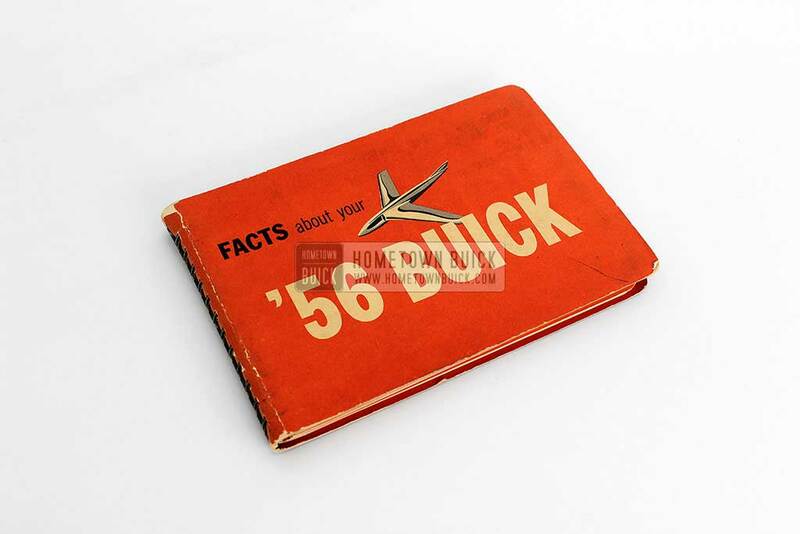 The number 1 source for info about the 53 Buick is the 1953 Buick Dealer Facts Book. It covers almost anything you need to know. It has over 100 pages! 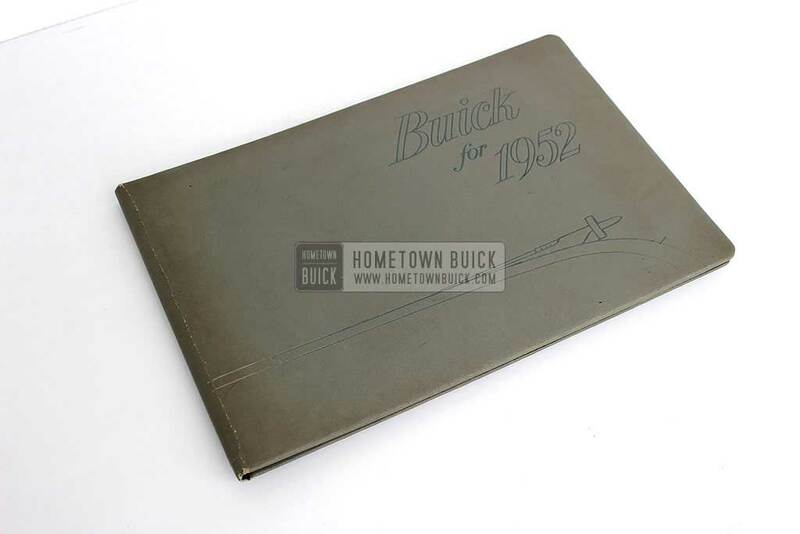 The 1951 Buick Dealer Facts Book is THE source for information about the 51 Buick. 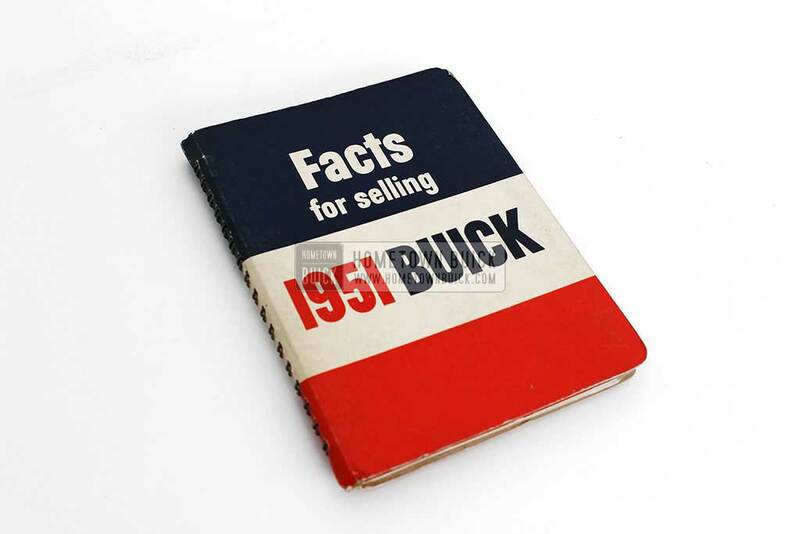 Buick put all sales arguments, data and pictures together in this book. 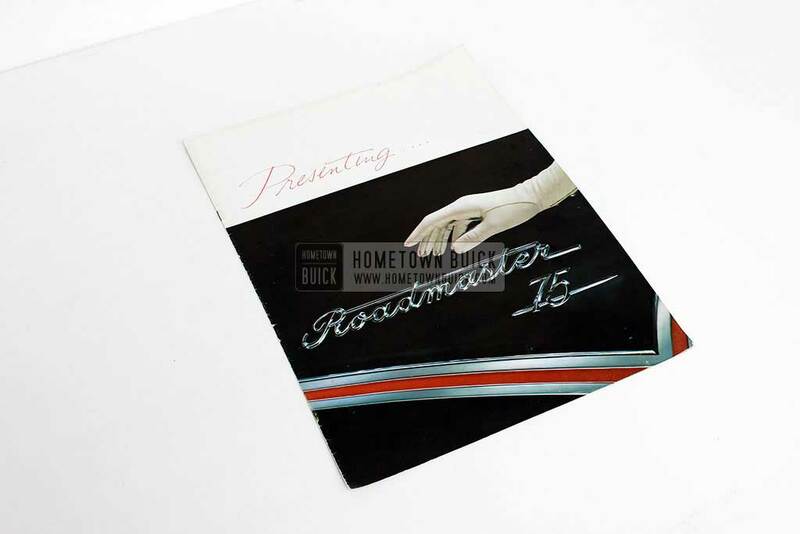 Buick introduced the more luxorious Roadmaster 75 models during 1957 - and published this 1957 Buick Roadmaster 75 Sales Brochure to promote them. 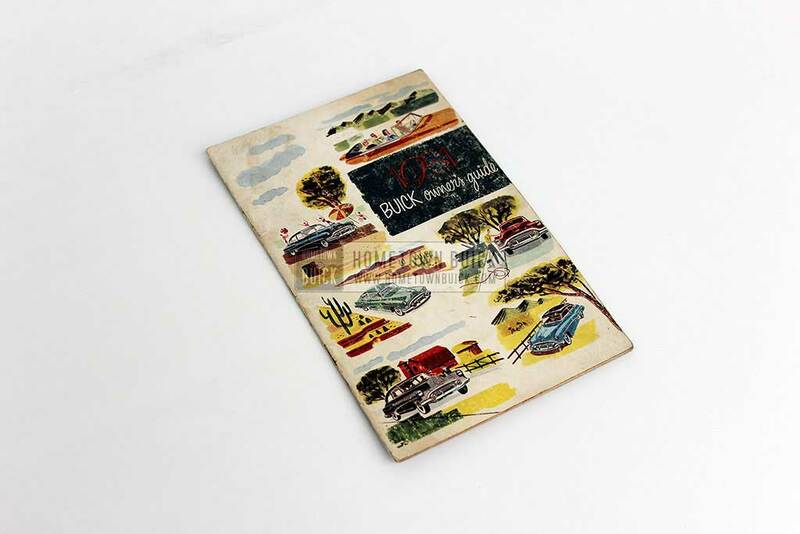 If you'd walk into a Buick Showroom in 59, the salesmen probably had a 1959 Buick Showroom Album & Fabrics Book - with interior trim and paint samples! 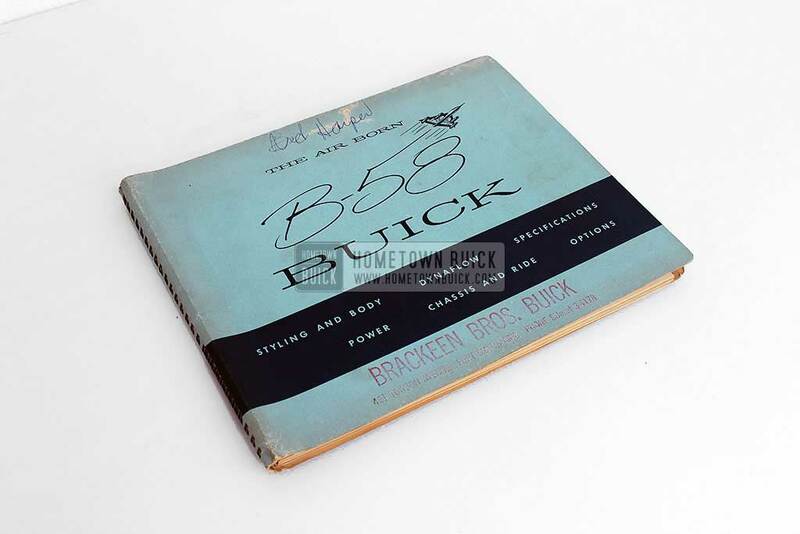 This 1958 Buick Showroom Album & Fabrics Book is the best source for almost any aspect of the 58 Buick - models, features, trim samples & much more! 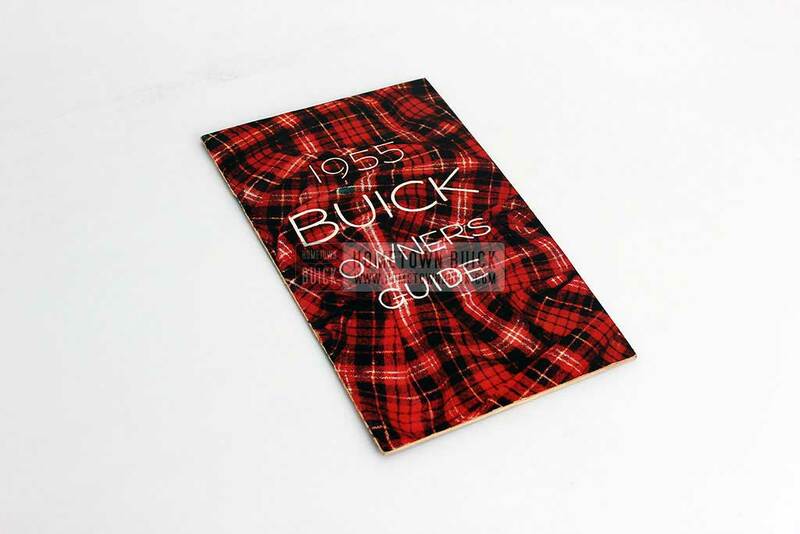 One of the rarest collectible items for the 53 Buick is the 1953 Buick Colors & Fabrics Book. It provides the original interior trim samples. 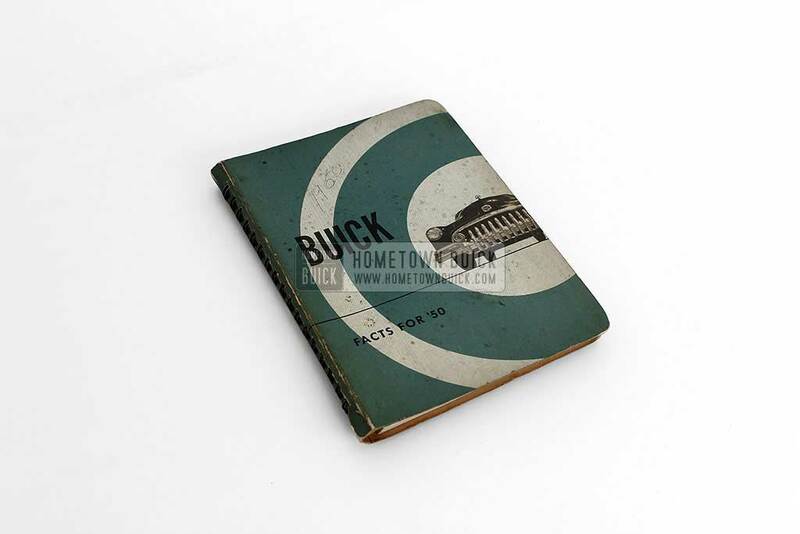 The 1952 Buick Colors & Fabrics Book provides the original interior samples for seat & bolster material. It also tells the trim codes & trim for each model. 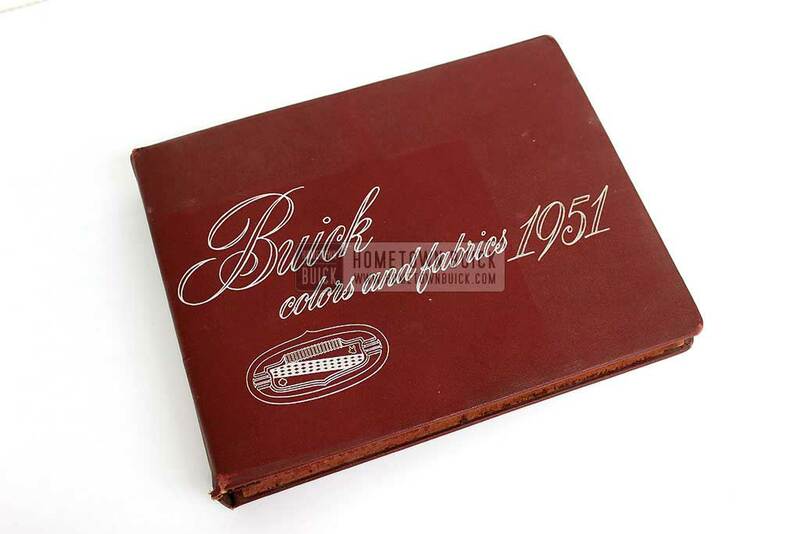 If you are looking for the interior materials for the 51, the 1951 Buick Colors & Fabrics Book is your book! Unfortunately they are VERY hard to find! The 1955 Buick Color Selector is almost as rare as the 55 Buick Colors & Fabrics book - but the color fan can be handled much easier! 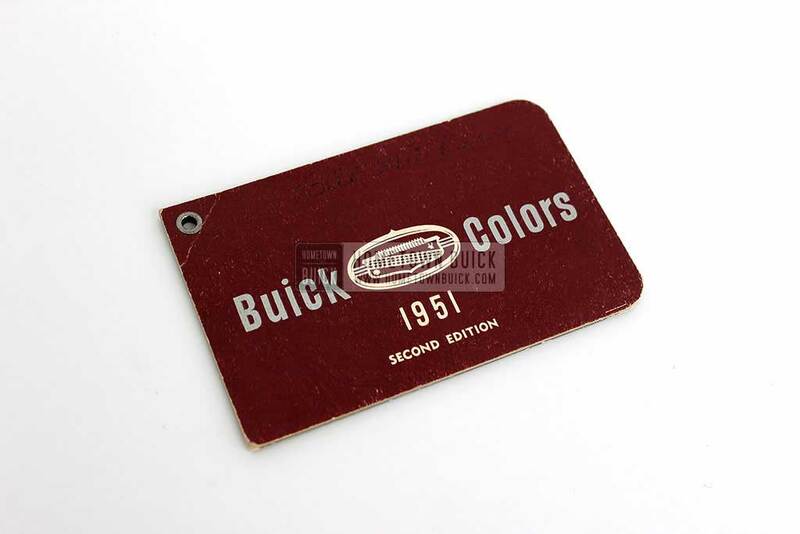 Buick salesmen had some selling aids - one of them was the 1951 Buick Color Selector. It covers almost any exterior paint on a seperate sample sheet. 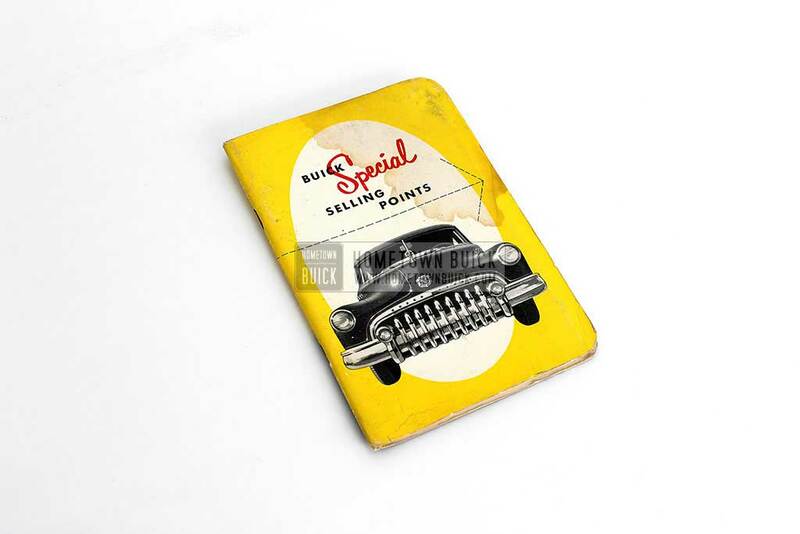 As the titel tells, the 1950 Buick Special Selling Points Book is all about the new models of the 50 Buick Special Series. It covers models and features! 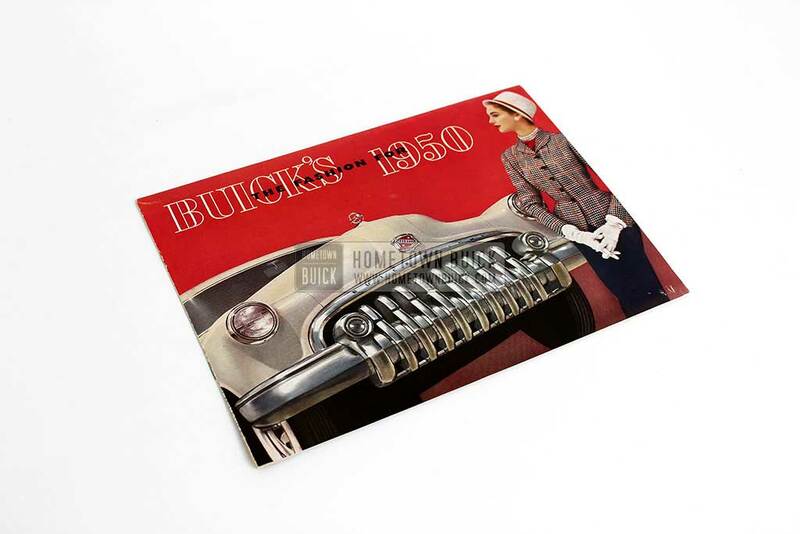 If you want to start collecting info about the 50 Buick, the 1950 Buick Sales Brochure is a good choice. It is one of the basic must have publications! 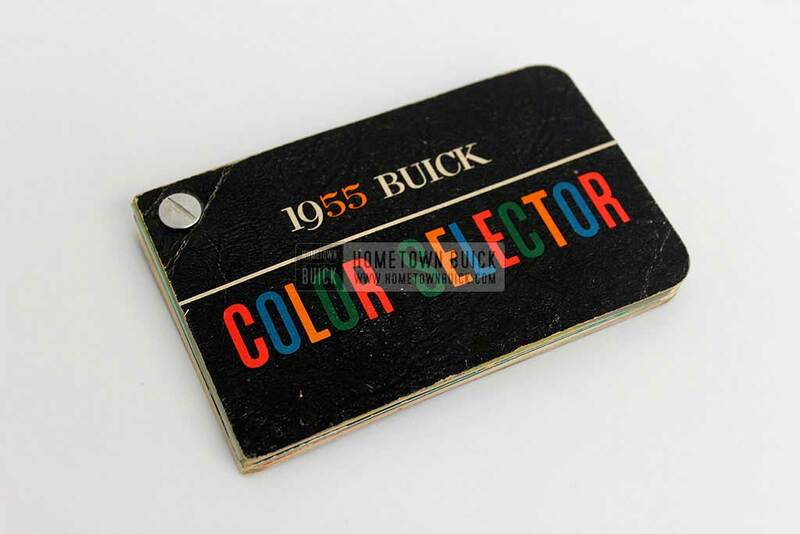 The 1950 Buick Color Selector was used to make the right choice of exterior paint easier for buyers. It's a fan and each blade is colored differently. 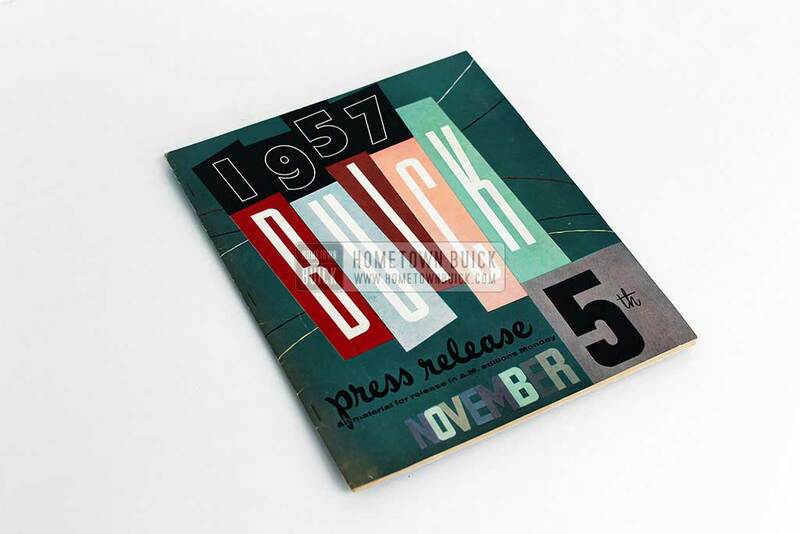 Buick provided this 1958 Buick Press Release Kit to journalists and newspaper all over the country, so that they can help promote the new 58 Buick. 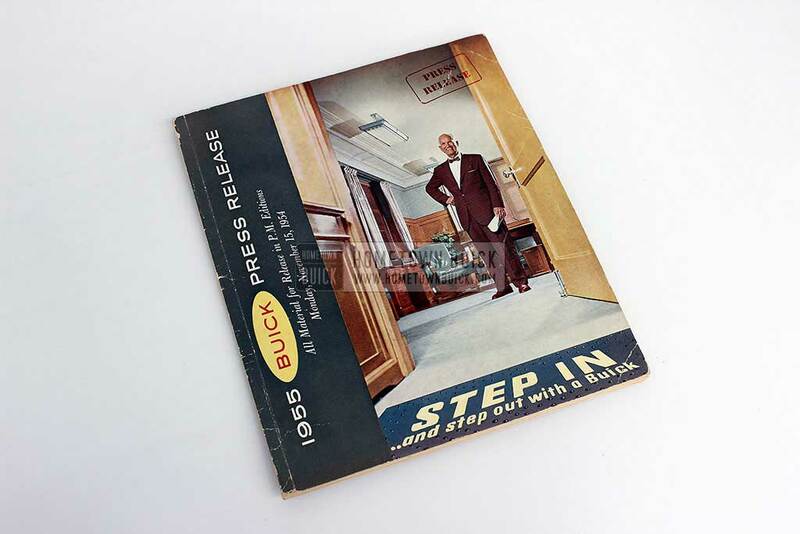 Buick used the help of the press and journalists to spread the news about the 57 Buicks. 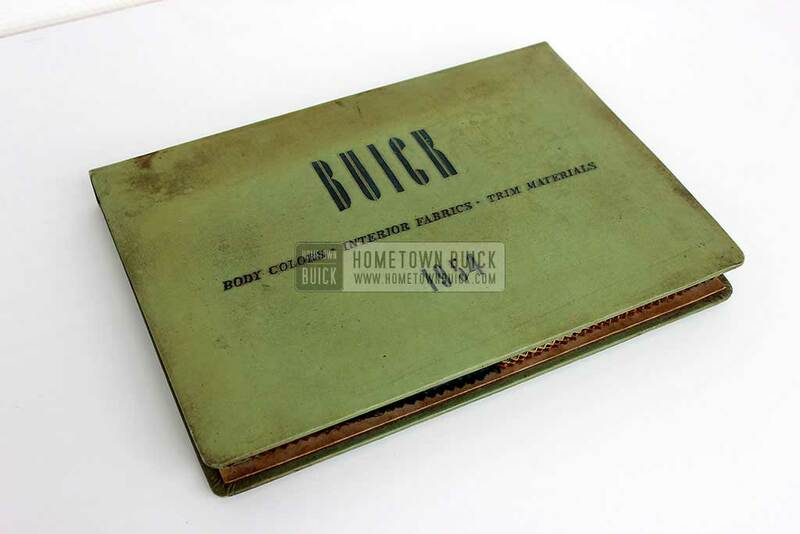 This 1957 Buick Press Release Kit contains info & pics for them. 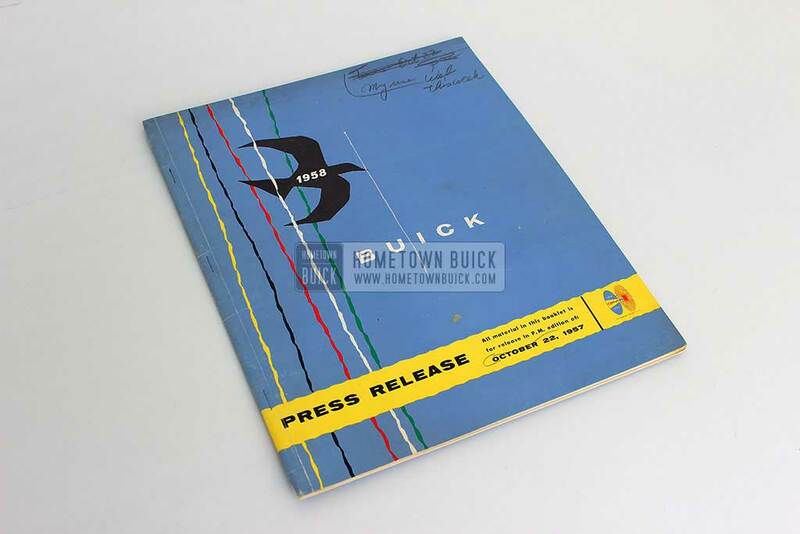 The 1955 Buick Press Release Kit was spread out to journalists and newspaper to give them all major info about the new 55 Buick in advance. 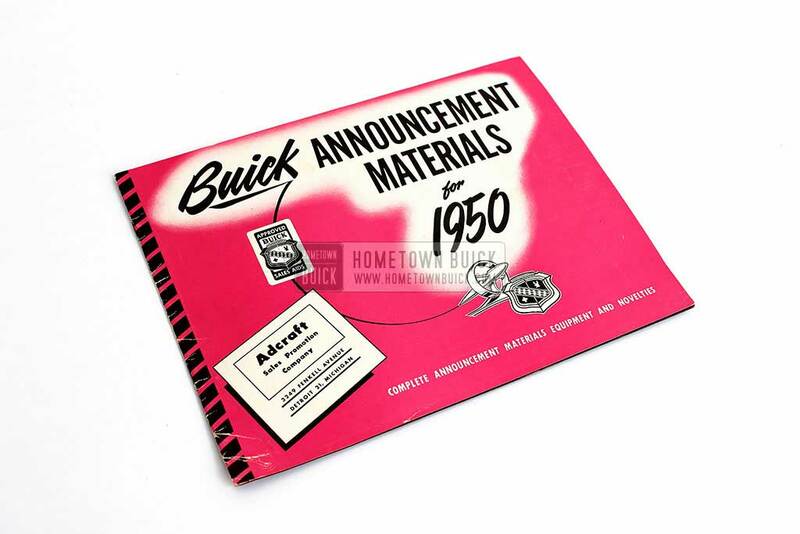 To inform journalists Buick offered a special 1953 Buick Press Release Kit. It comes with neat texts, shorts and photos of models and features. Are you curious about the differences of the 52 Buick model line and other cars from Chevrolet, Dodge or Ford? 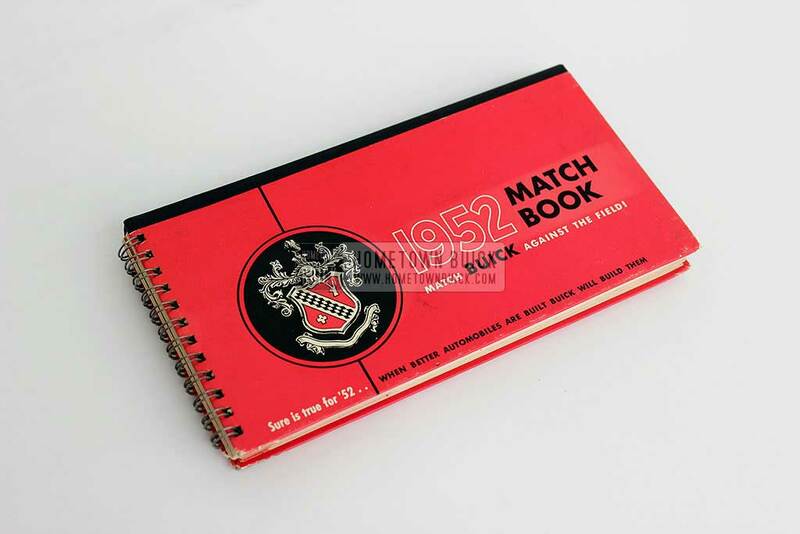 Look at the 1952 Buick Match Book! 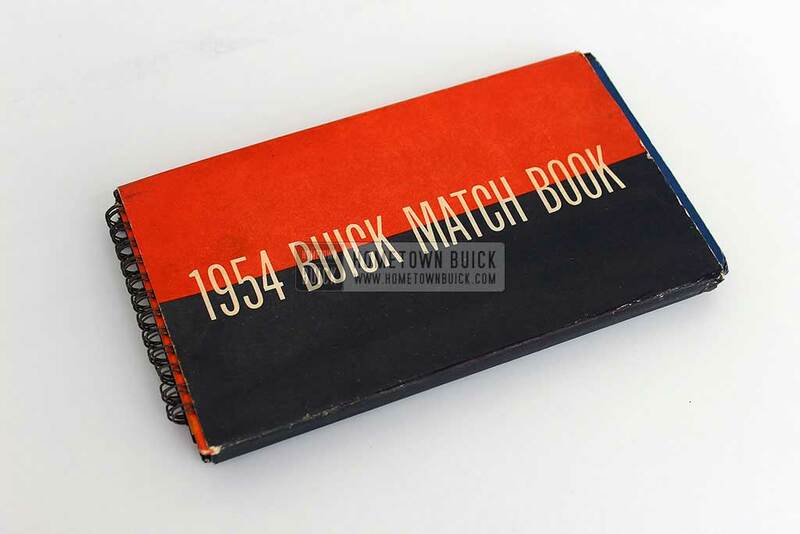 The 1954 Buick Match Book compares the full 54 Bick line against Chrysler, Chevrolet, Ford, Studebaker, Mercury, Lincoln, Willys & more. Trade-Ins were very common in the 1950s. 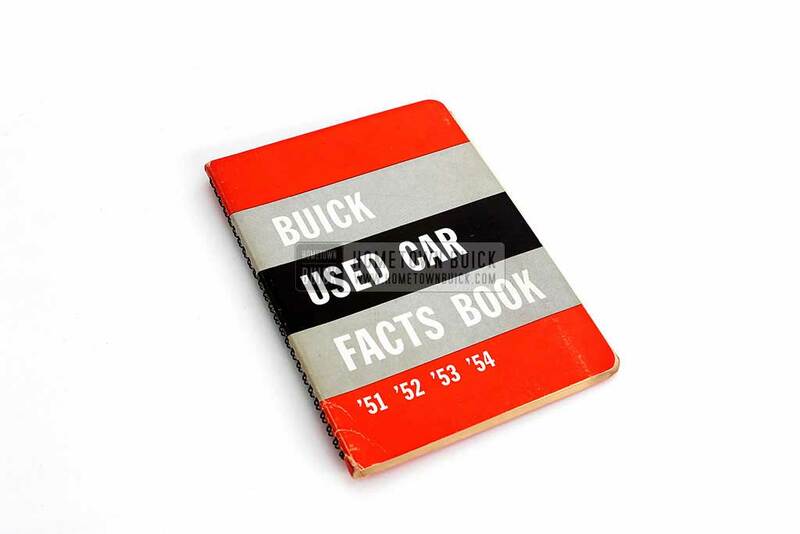 Buick tried to help salesmen to find the correct prices with the 1955 Buick Used Car Facts Book. 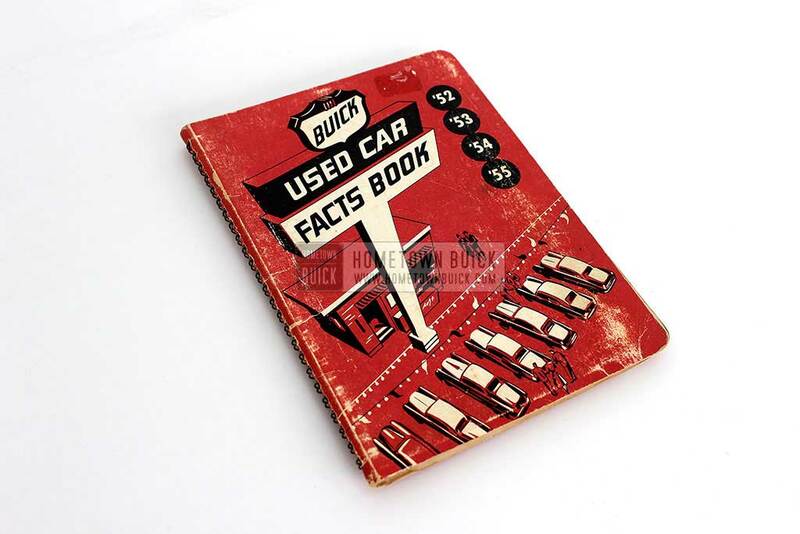 The 1954 Buick Used Car Facts Book help Buick salesmen in 1954 to find out the best prices for trade-ins. You'll find basic info for Chevrolet, Ford & more! Every year in April Buick held a special event to introduce new models, features & more. 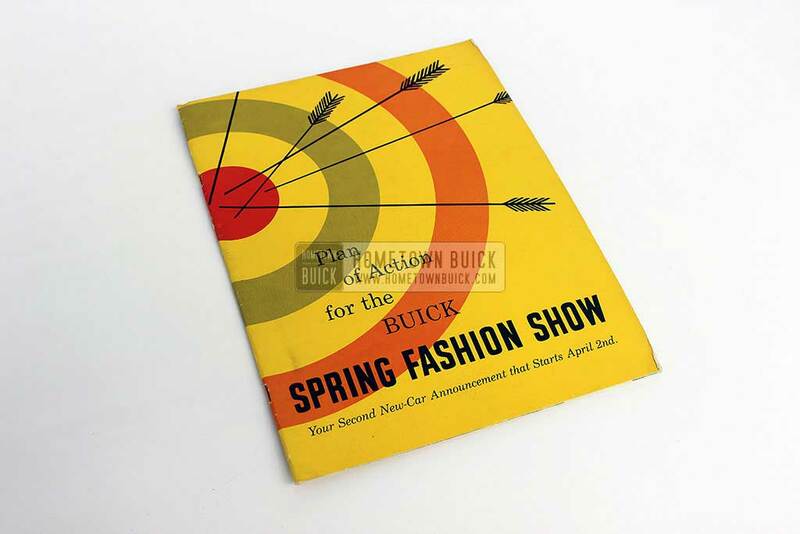 Read about it in the 1954 Buick Spring Fashion Show Plan of Action! 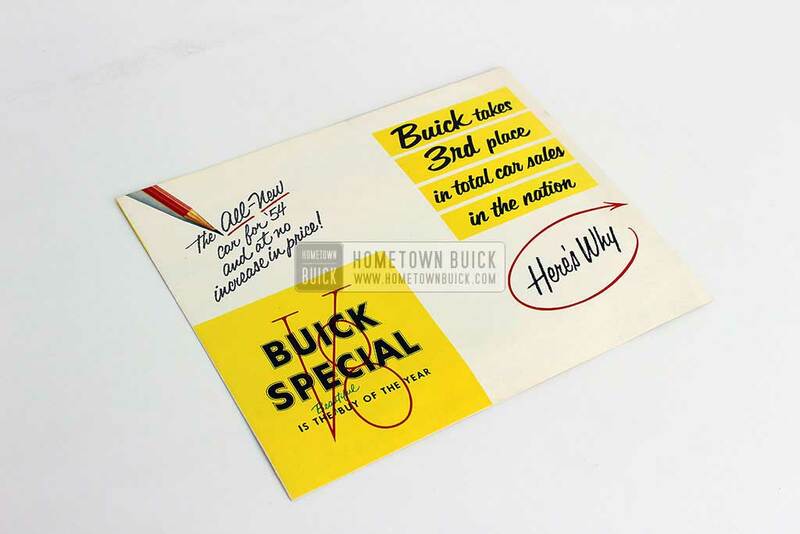 With the 1954 Buick Special 3rd Place Flyer, Buick celebrated its sales success and communicated it to every household in the US. 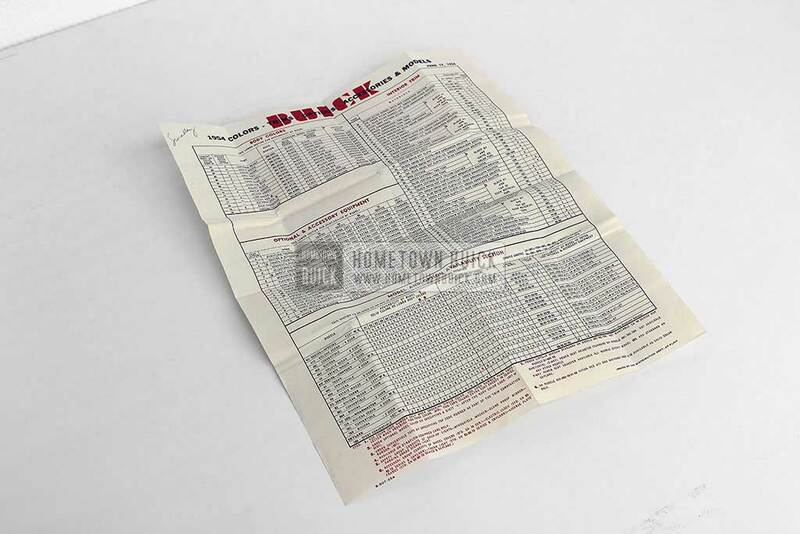 Salesmen used this 1954 Buick Order Form to order an individual car for a new owner. It shows all models with options, paint, interior - with all codes! The 1954 Buick Press Release Kit was sent to newspapers and journalists to inform them about the new model line, features & more. It came with lots of pics! 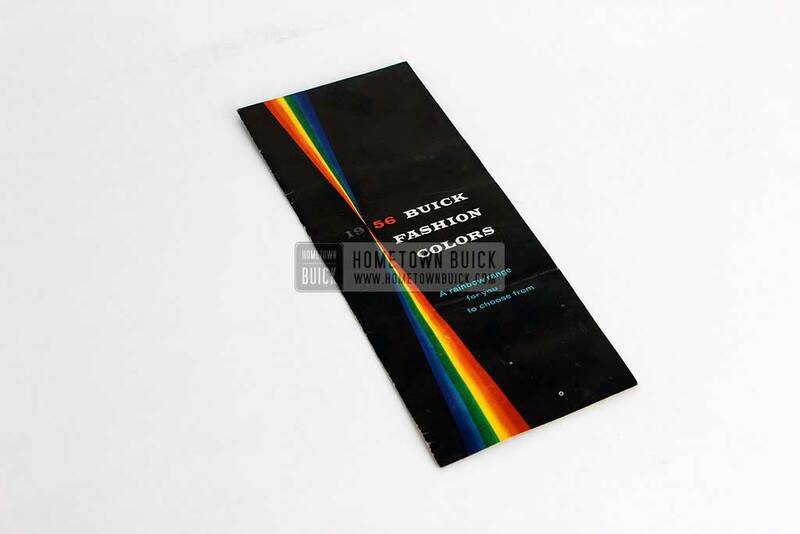 The 1954 Buick Colors & Fabrics Book is a very hard to find item. It contains the original interior trim material samples for almost every 54 Buick. 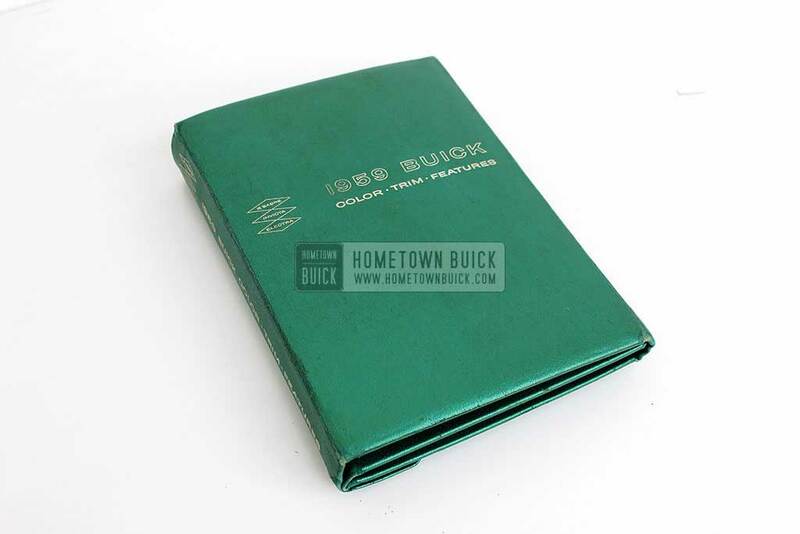 The 1950 Buick Dealer Facts Book is a must have for any series 50 Buick collector or owner. This is a major information source loaded with data & pictures! 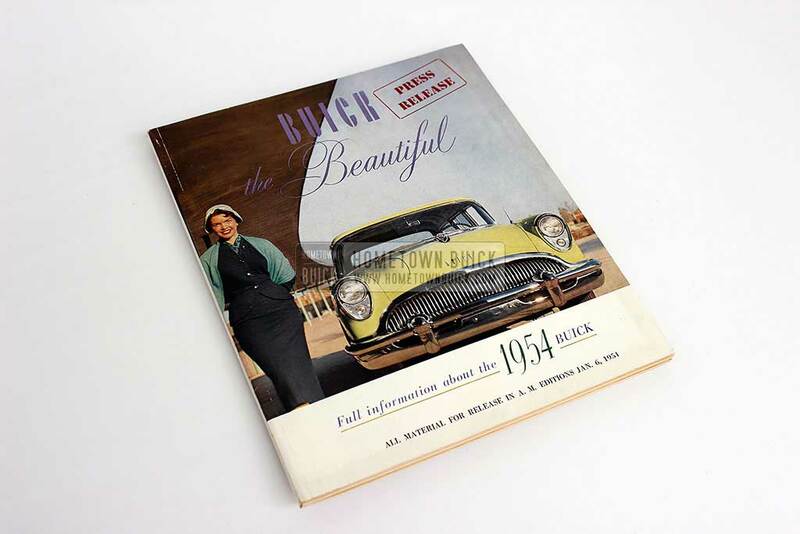 One of the rarest pieces of the Hometown Buick Collection is the 1950 Buick Announcement Material Brochure. It shows the new marketing material! 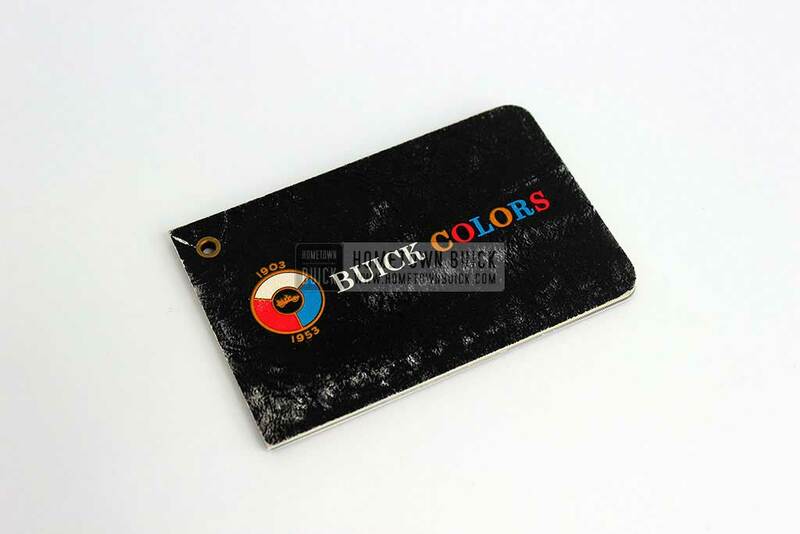 The 1952 Buick Color Selector carries samples of all exterior paint colors available. You can easily compare colors by holding samples next to each other. 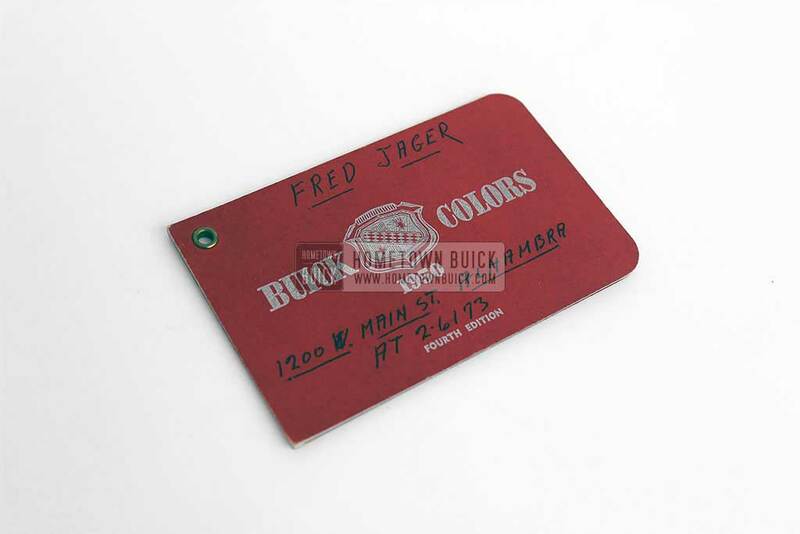 If you want to know which exterior paints were available for the 53 Buick, the 1953 Buick Color Selector can help you. It was used by salesmen back in 53. 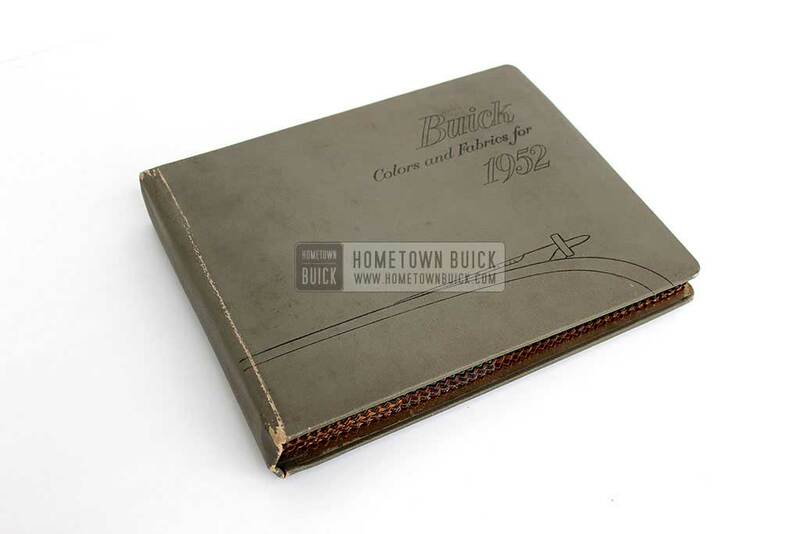 Every new owner of a 55 Buick received an original copy of the 1955 Buick Owners Manual. It covers basic operating tips and maintenance info. 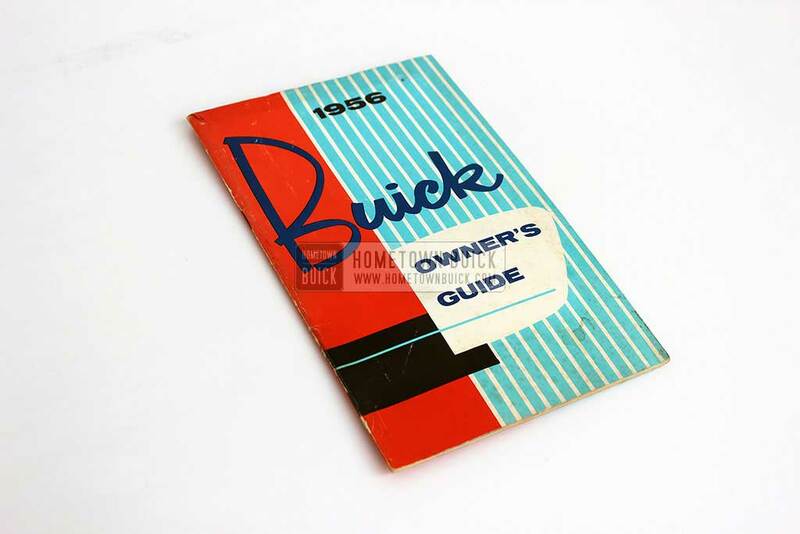 All buyers of a 53 Buick got a 1953 Buick Owners Manual. It tells owners how to operate parts like radio & seats plus offers basic specifications. 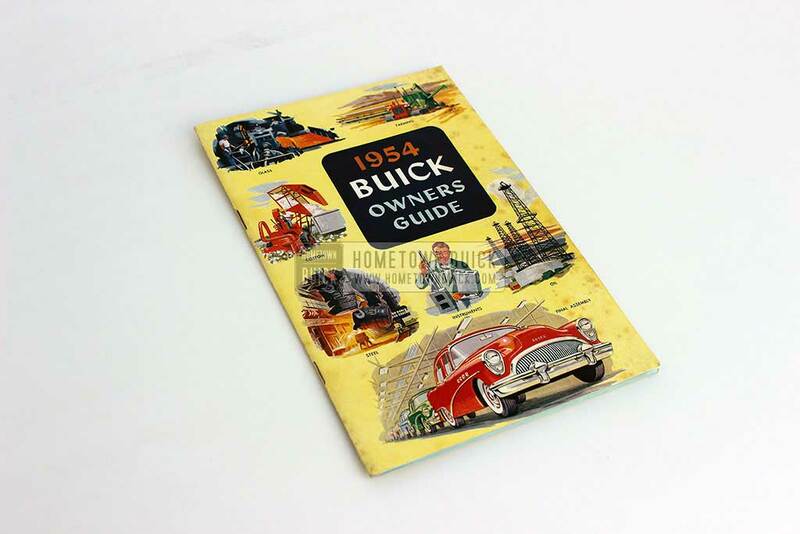 Every new car buyer of a 54 Buick received a 1954 Buick Owners Manual. It helps to select the correct fuel type, fuses and provides lots of operating tips! 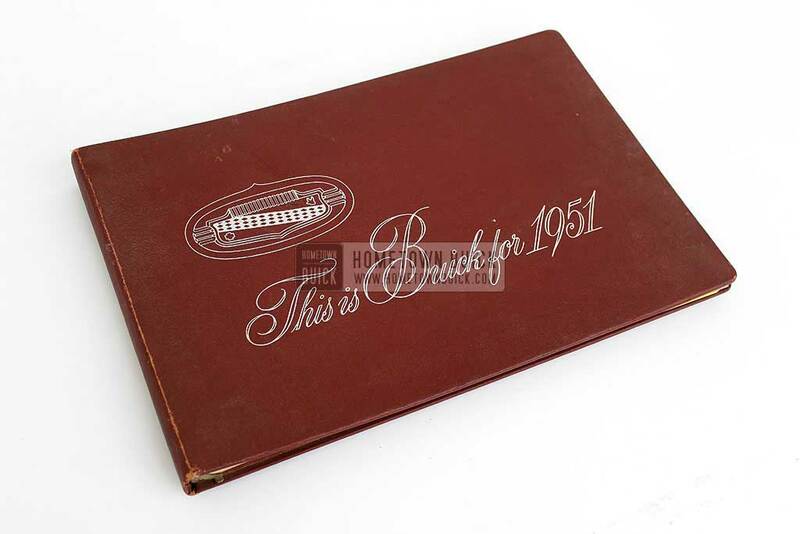 All buyers of a 58 Buick got their 1958 Buick Owners Manual to teach them the operation of basic equipment like radio, sets, heater and much more!